After losing the Twenty20 International series against Pakistan 3-0, New Zealand made a strong start to the one-day internationals with a 47-run victory in the first of three games. New Zealand win by 47 runs! In the end, Pakistan couldn't recover from the damage caused by Trent Boult's hat-trick in the third over of the innings. New Zealand, who are ranked third in the MRF Tyres ICC Men's ODI Team Rankings, kept the lid on Pakistan's explosive batsmen with their strong bowling display in the first ODI. Trent Boult, who missed the T20I series as he was on paternity leave, made a strong comeback to the national team by becoming the third New Zealand bowler to claim an ODI hat-trick. The 29-year-old received good support in seamers Lockie Ferguson and Colin de Grandhomme, who returned figures of 3/36 and 2/40 respectively. However, Ish Sodhi, who was expected to extract turn and bounce from the dry surface, was not at his best. Skipper Kane Williamson has the option of swapping him with left-arm spinner Ajaz Patel in the second game. While New Zealand impressed in the bowling department, their batting can get better. The visitors put up a total of 266/9, courtesy crucial half-centuries from middle-order batsmen Ross Taylor and Tom Latham. However, none of the other batsmen managed to cross 30. Teenaged Shaheen Shah Afridi, who has taken to international cricket like a duck to water, claimed four scalps in the game. He snapped up two wickets upfront, before hurting New Zealand's lower middle-order with his raw pace later in the innings. Shadab Khan, who is an ace for Pakistan in their adopted fortress, also picked up four wickets in his 10-over spell. His scalps included well-settled batsmen Williamson and Latham, as well as Henry Nicholls and de Grandhomme, whom he dismissed for ducks. Pakistan, too, look impressive on the bowling front. However, the batting department has not been able to replicate their T20 heroics in 50-over cricket. "We have been performing well in the bowling, but it is our batting department that needs some fine-tuning in ODIs. Especially, our top-order. Our struggle starts from there as we tend to lose early wickets and then fail to make a comeback in the match," said Pakistan skipper Sarfraz Ahmed in the build-up to the series. The hosts lost their first five wickets for 73 in the first ODI, leaving too much to do for their lower middle-order in the 267-run chase. While Ahmed and Imad Wasim tried to lift the innings with half-centuries, they could not fix the damage from the first 20 overs of the innings. Ahmed will hope that his top-order batsmen get some runs under their belt in the second game. 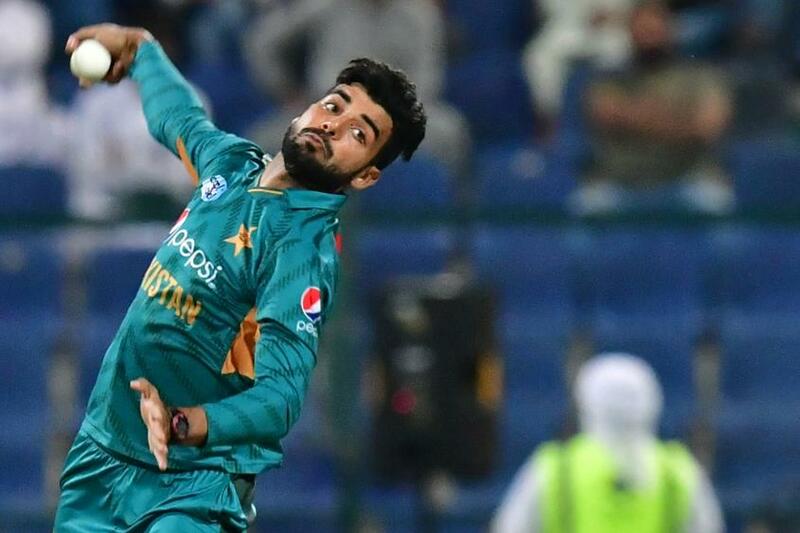 Shadab Khan (Pakistan): The 20-year-old has been an integral component of Pakistan's bowling arsenal in the last 12 months. He becomes their strike bowler in the UAE, where the dry and slow pitches become conducive to spin bowling. He crippled New Zealand in the middle overs of the innings in the first game and will be expected pick up from there on Friday. Ross Taylor (New Zealand): Taylor, who scored a 112-ball 80 in the first game, is the most experienced campaigner in New Zealand's batting line-up. The right-hander, who is the leading run-scorer for New Zealand in 50-over cricket in 2018, will be crucial for countering Pakistan's strong spin-bowling attack in the second game. The temperature will rise to 31°C at the time of the toss and the weather is expected to be hot and dry throughout the game. The first ODI, which was also played in Abu Dhabi, showed that the surface is not easy to score on and will require application from both the batting units.